Shopping at an Amish bulk food store is similar to most other bulk food suppliers with a few key distinctions. One of the first things most people will notice is that the store itself is not part of a large nationwide chain, but instead individually owned by an Amish person or group living locally. Because of this, there are no large advertising campaign posters or neon lights attempting to attract customers to a certain type of food. The presentation of the food items is basically you get what you see. Most of the wrappers are clear so the enclosed items can be viewed before they are purchased. 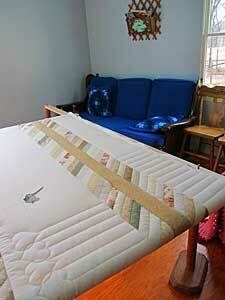 Many Amish bulk food store will also make their customers a custom Amish quilt. Another distinction that sets the Amish bulk stores apart for the huge mega chain bulk stores and clubs is the suppliers of the goods. At the Amish stores, plain wrappers and labeled items line the shelves. The plain containers and labels are used not by the manufactures of the products, but by the person or group that subdivided the material. This is in sharp contrast to what most members find at Sam’s Club or the other bulk food outlets that are widely available today. At those chain bulk stores, the products are in bulk. Most of what they are selling was designed to be sold to restaurants and other places that use large qualities of food items on a regular basis. This allows for the shopper at the Amish bulk store to make their purchases without the need to worry about items becoming spoiled or rotten because they will not be consumed immediately. These repackaged bulk items are sold by weight and not the size of the containers. This helps the cooks to make purchases of exactly the amount they need each and every time. The items you find in a Amish bulk food store are mostly the items the Amish use, that being said, you may not find the items you are looking for. 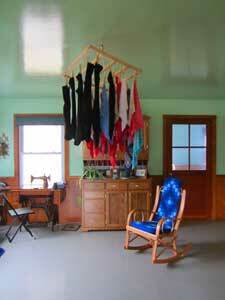 In most of the Amish bulk food stores there is a small back room with an oven or two and several tables – often times if the room is large there is also a custom quilt setup otherwise the custom quilt is setup in their home a short walk from the store, this allows them to work on it when the store has no customers. This back area is also the bakery that produces the many fresh baked items that are for sale on the store’s floor. The materials used in these small bakeries are from the items the store already sells. This is unlike the super chain bulk stores were the bakery items are prepackaged mixtures that have water added to them and then baked before being advertised as handmade. The bakery items in the Amish store really are handmade from scratch. This is one of the leading reasons this supply of food is one of the most preferred in the business. Shopping at an Amish bulk food store might take a little getting used to for most outsiders or as the Amish refer to us as the English, but keep in mind the Amish love having the English shop and buy their homemade goods and custom quilts. Note - There are no boxes of instant meals or frozen TV dinners. This is the place to shop if you desire real food and have someone that knows how to prepare a meal from scratch. Most of the items you will find will be preservative free and whole, as in whole wheat. Because of the reduction in the processing of the foods, the Amish believe it is healthier and helps them stay closer to God.